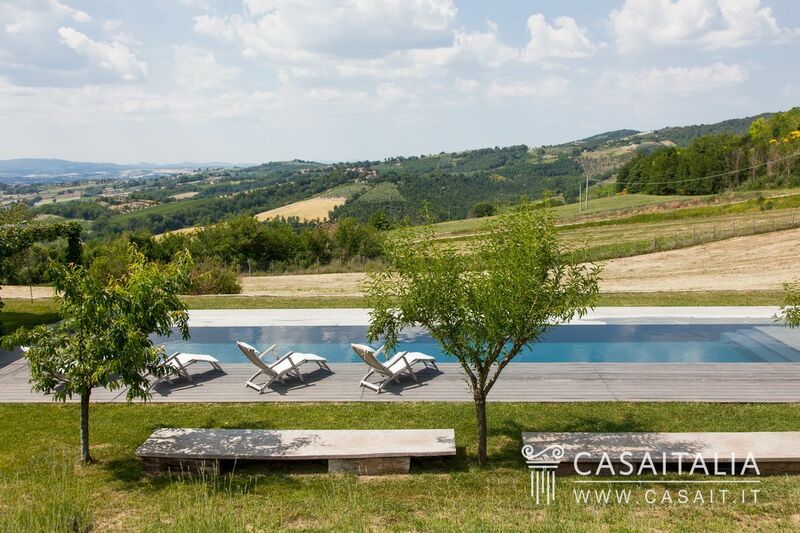 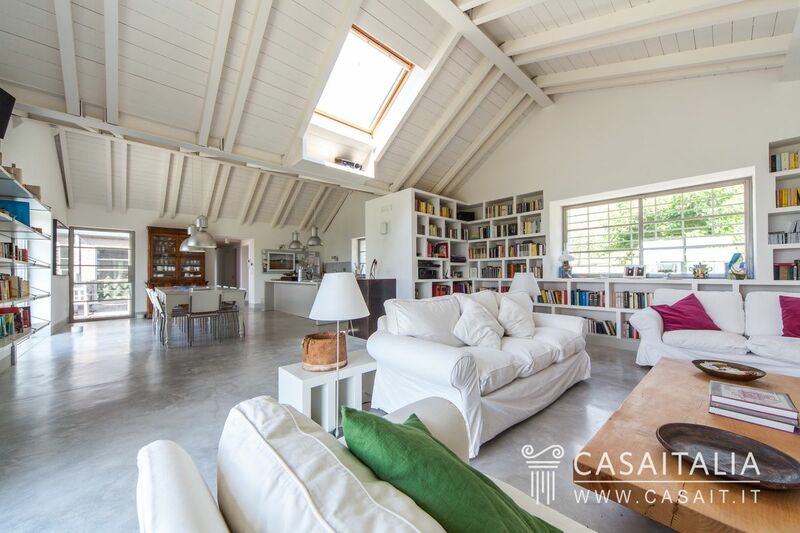 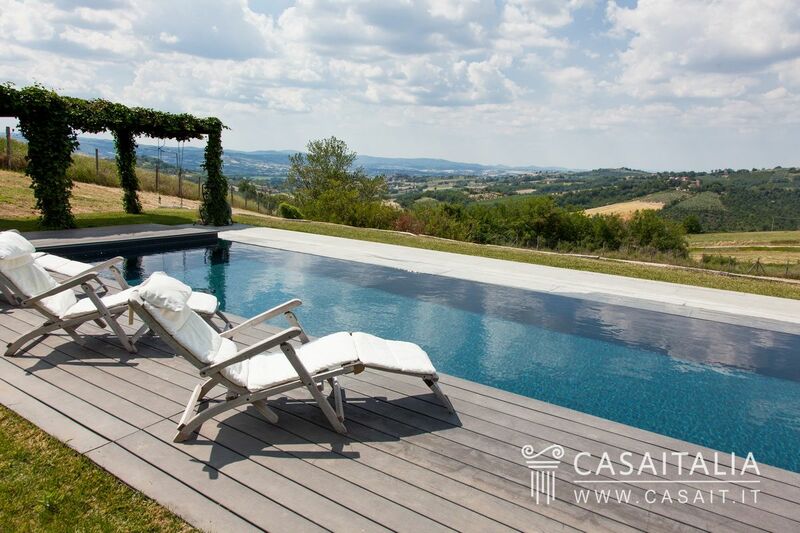 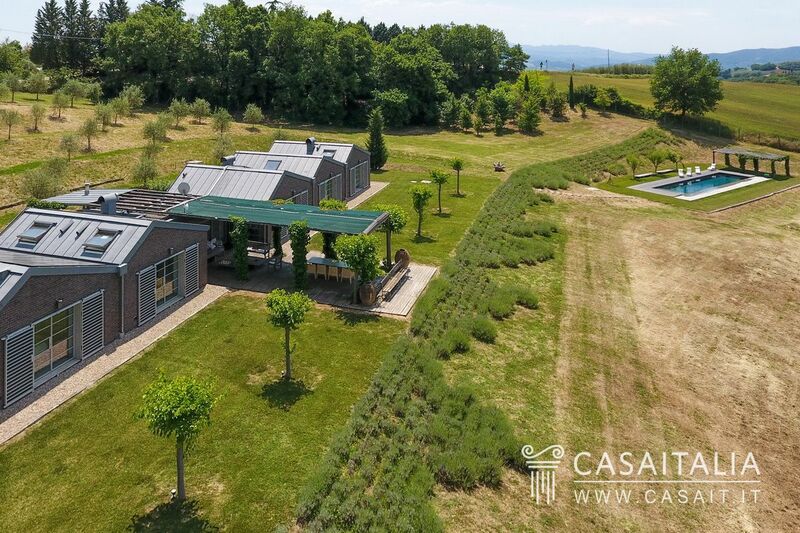 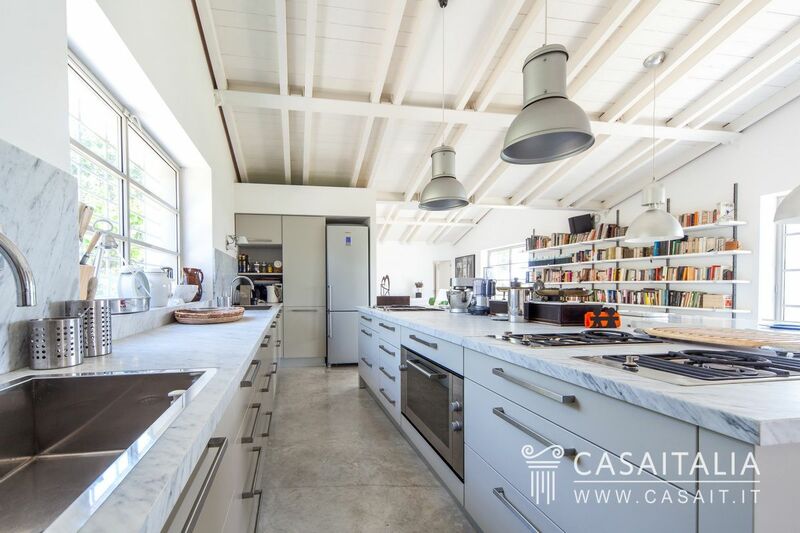 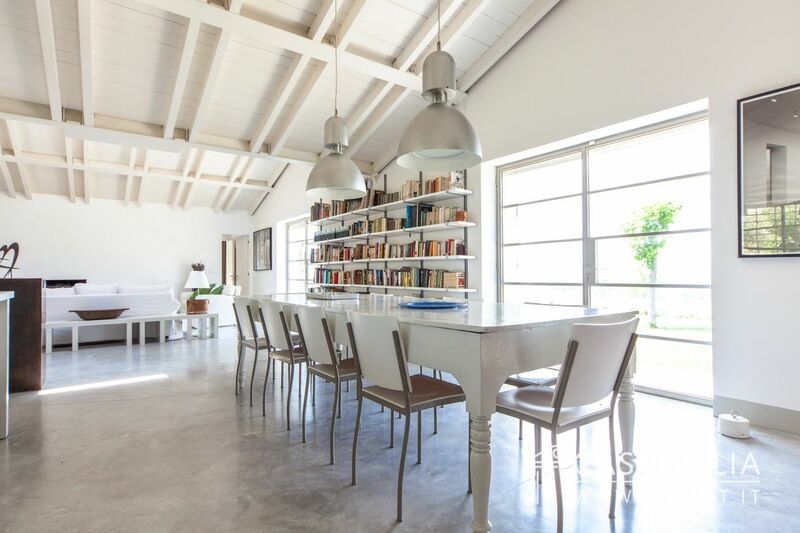 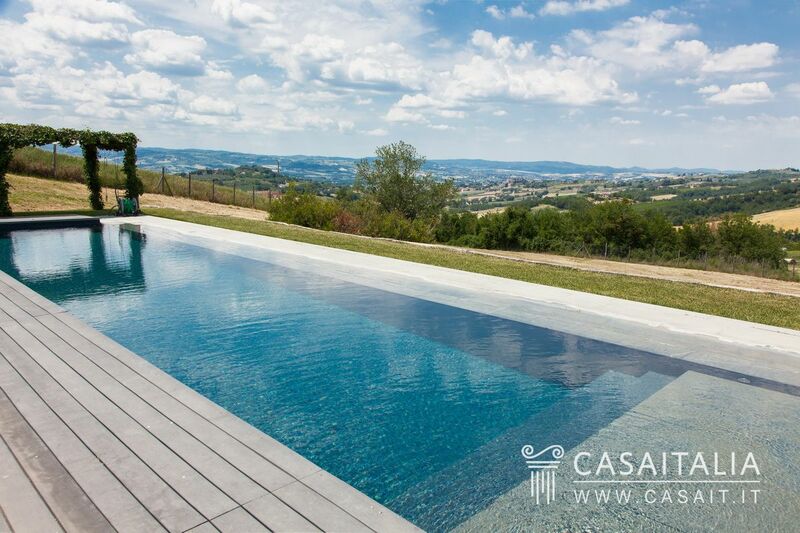 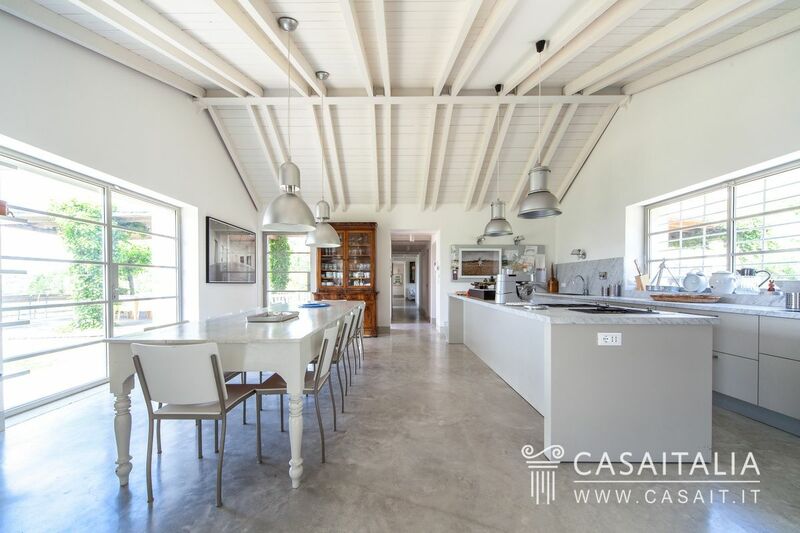 Contemporary Villa is a pretty residence for sale just 11 km from Todi, with swimming pool, surrounded by over 1.6 hectares of private land. 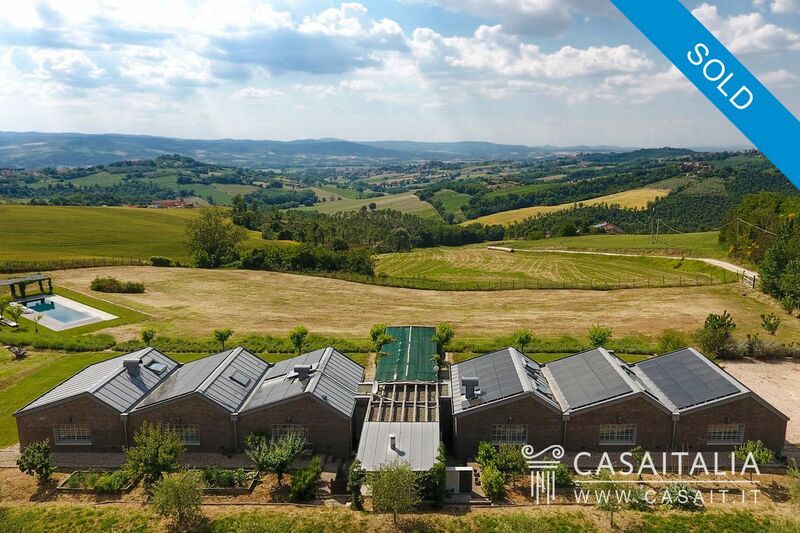 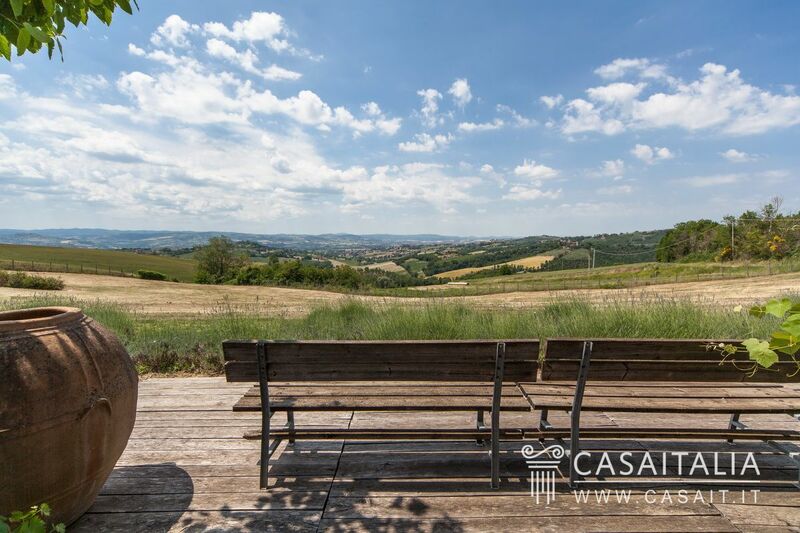 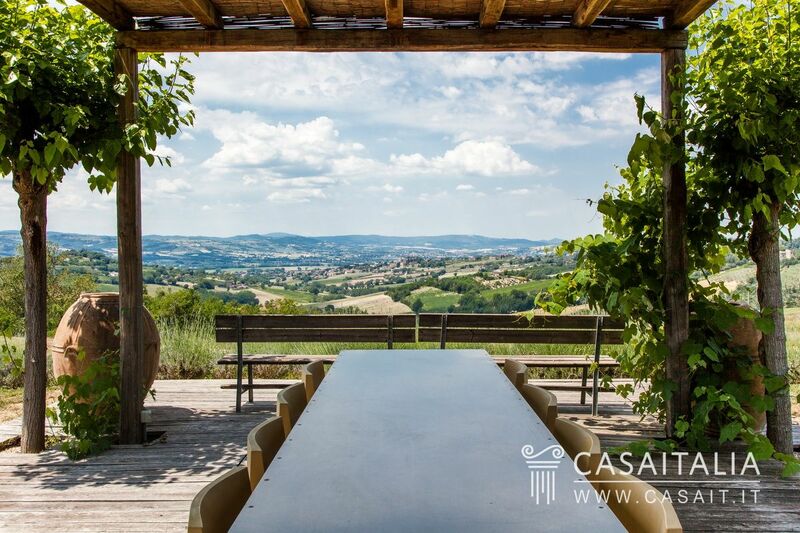 The location is panoramic and was carefully chosen by an architect who designed it for himself and his family, with a magnificent view of the rolling Umbrian hills. 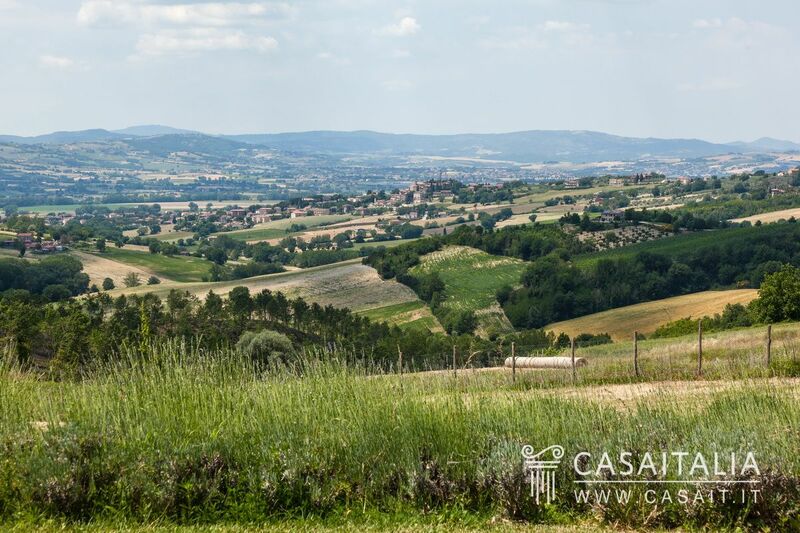 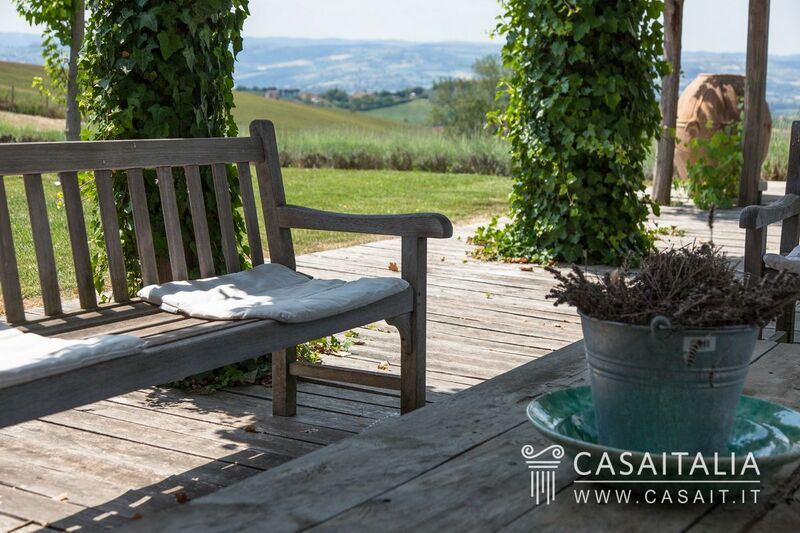 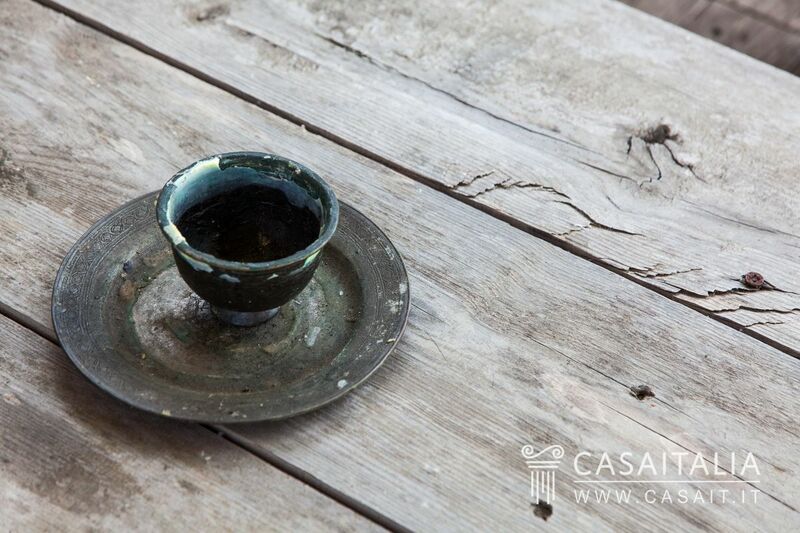 Secluded while not being isolated, due to the presence of a few other houses nearby, the location is ideal for those looking to live in contact with nature while still being close and well-connected to some of Umbria and Tuscany’s main historic centres. 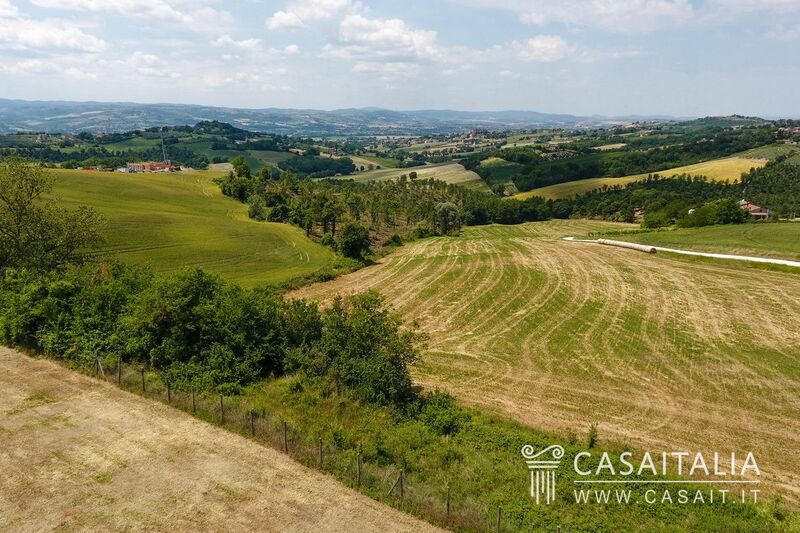 In around half an hour, it is possible to reach Perugia (37 km), Spello (38 km) or Assisi (48 km), while in less than an hour you can get to Orvieto (43 km) and Spoleto (53 km), and Cortona (81 km) or Montepulciano (97 km) in just a few minutes more. 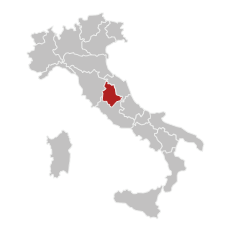 The nearest airport is Perugia, 37 km away and around half an hour’s drive, while Rome Ciampino (153 km) and Rome Fiumicino (170 km) airports are around two hours’ drive away. 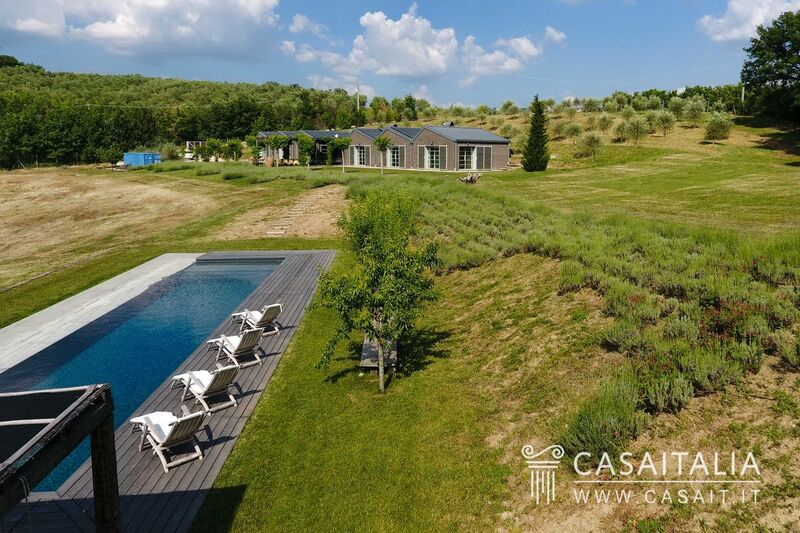 Recently constructed, with state-of-the-art technology and the highest quality materials both in the appliances and the finishings, the villa measures 350 sq.m in total, with the addition of a 50 sq.m pergola at the front of the house, a 30 sq.m pergola in the pool area, a building measuring around 30 sq.m in total used for storage and a utility area measuring 24 sq.m. 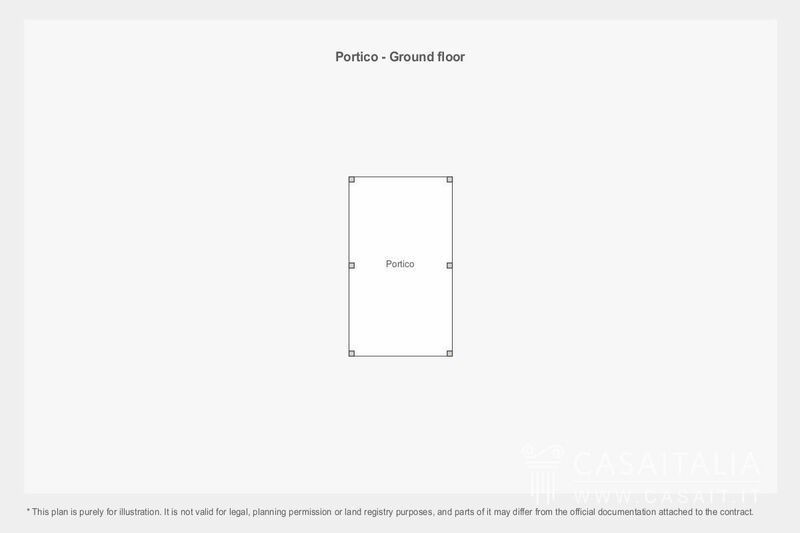 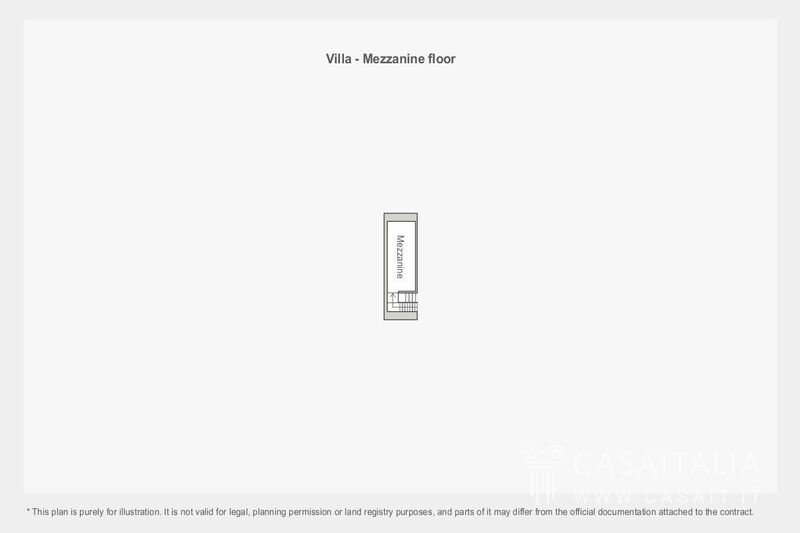 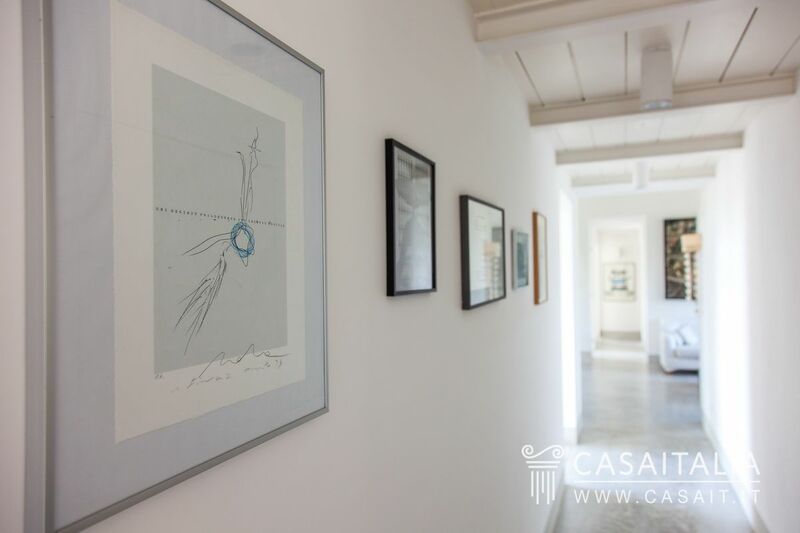 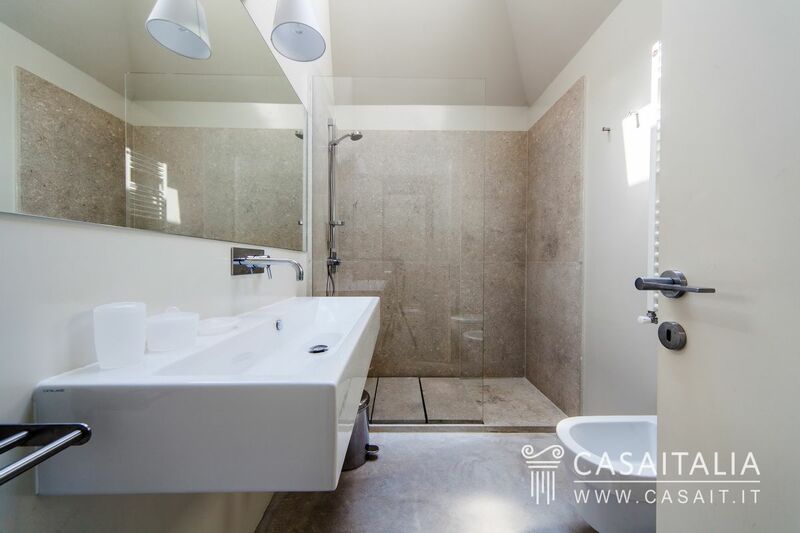 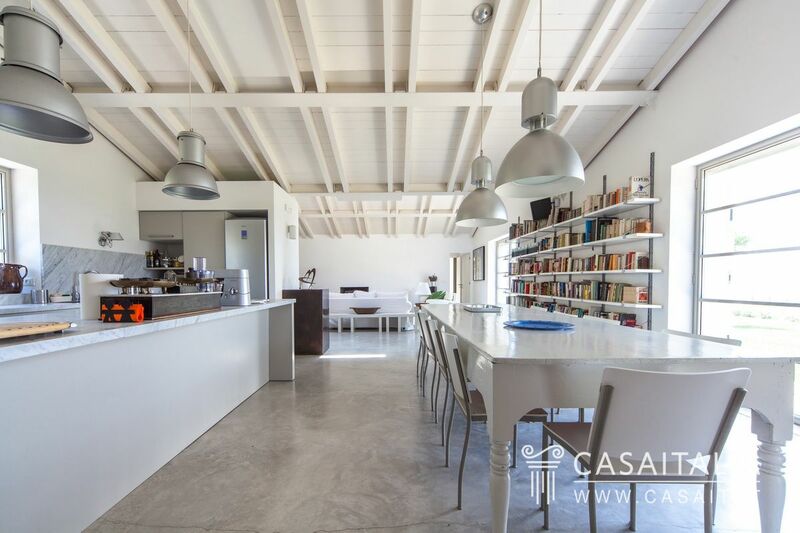 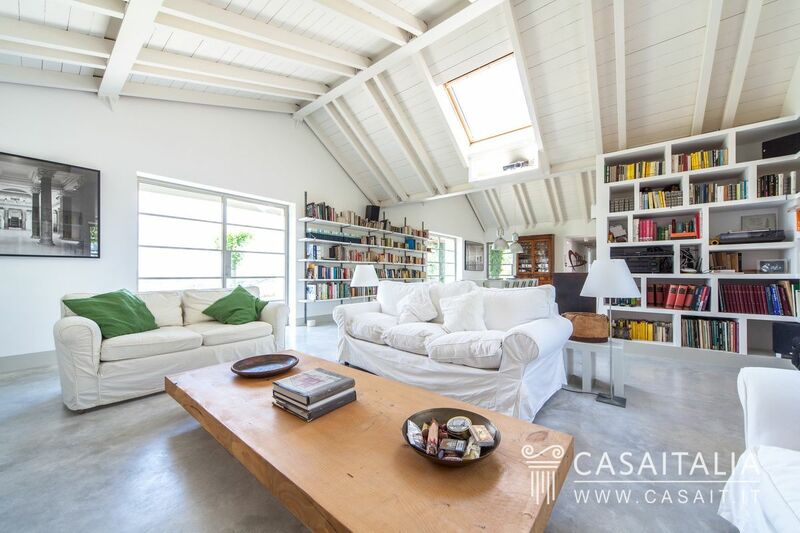 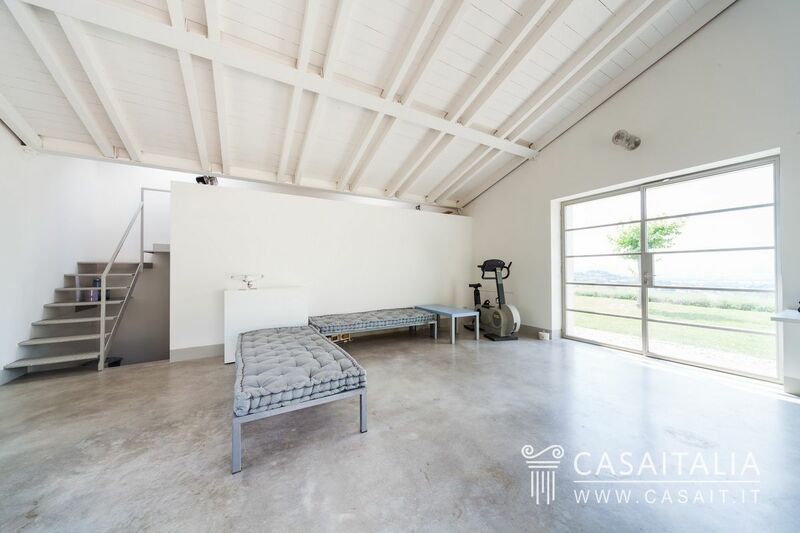 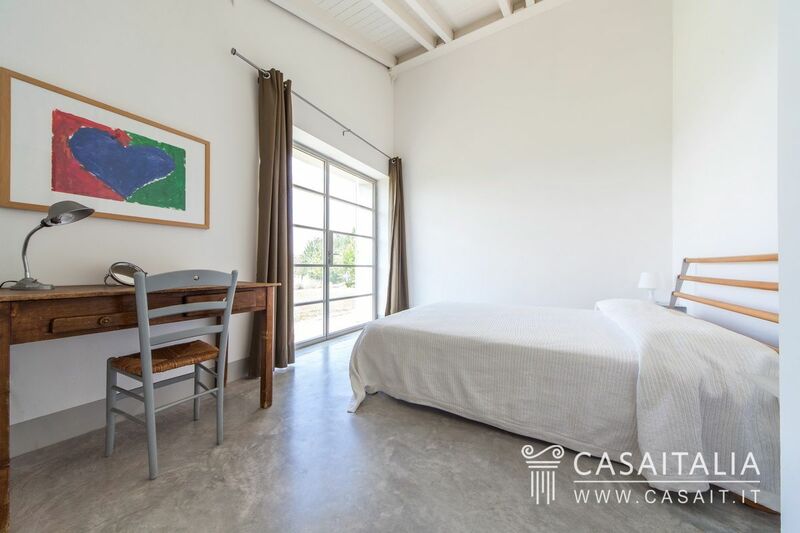 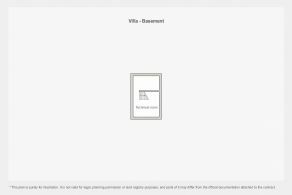 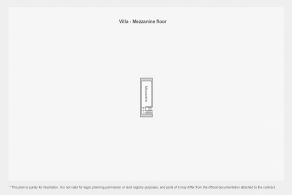 Contemporary Villa has just one floor, with the exception of a small loft, and is currently split into two areas: one which is used as the main residence and the other, a large studio apartment with loft and separate entrance, ideal as guest accommodation. 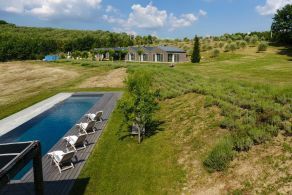 The outside features unique architecture, 6 cottages in a row, connected internally, with large French windows which open onto the panoramic garden. The entrance to the main house can be found alongside the pretty pergola overlooking the valley, equipped with seating area and large table for outdoor dining: inside, on the right, there is the large open-plan living area, one bright space featuring a functional kitchen with island, the dining area and the sitting room with fireplace. 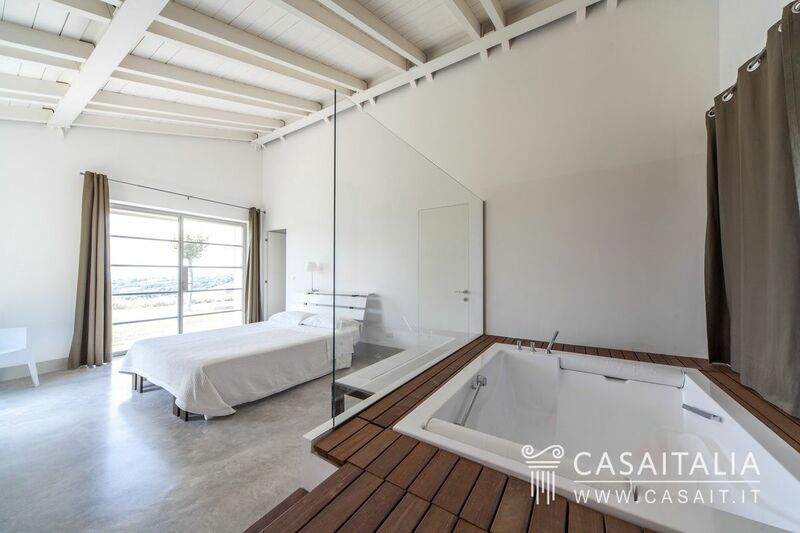 Next door there is the master bedroom, with sunken bathtub, walk-in wardrobe and bathroom. 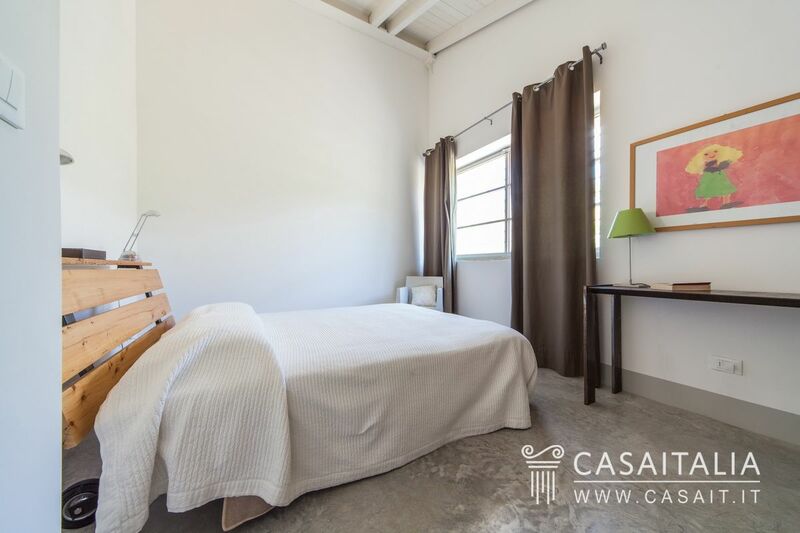 To the left of the entrance there is a sitting room/studio with fireplace, two further bedrooms and two bathrooms. 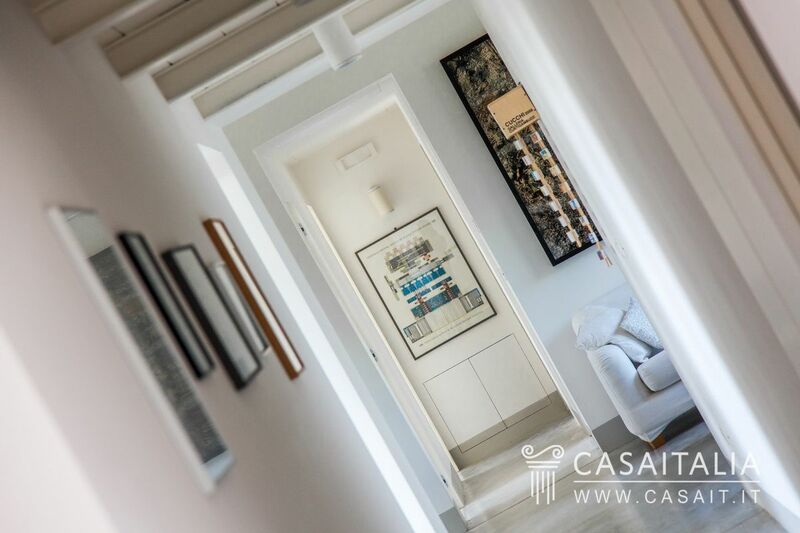 The studio apartment comprises a large living room, kitchenette and bathroom on the ground floor and a bedroom above. 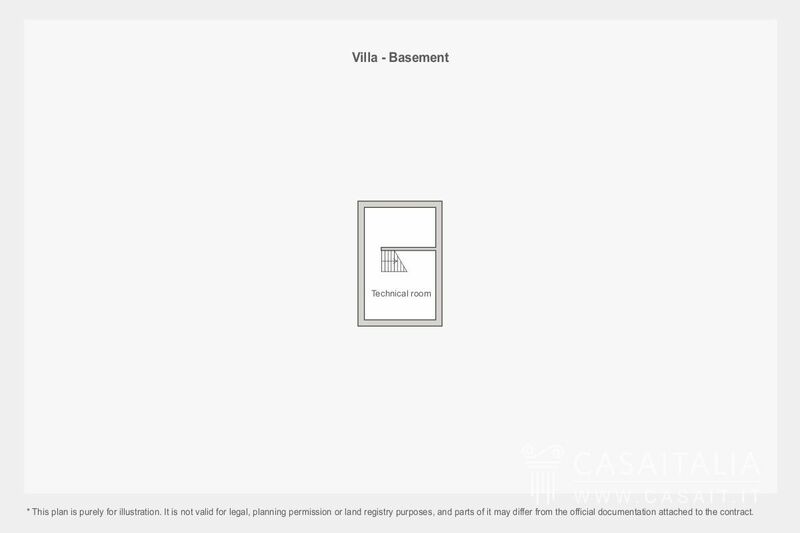 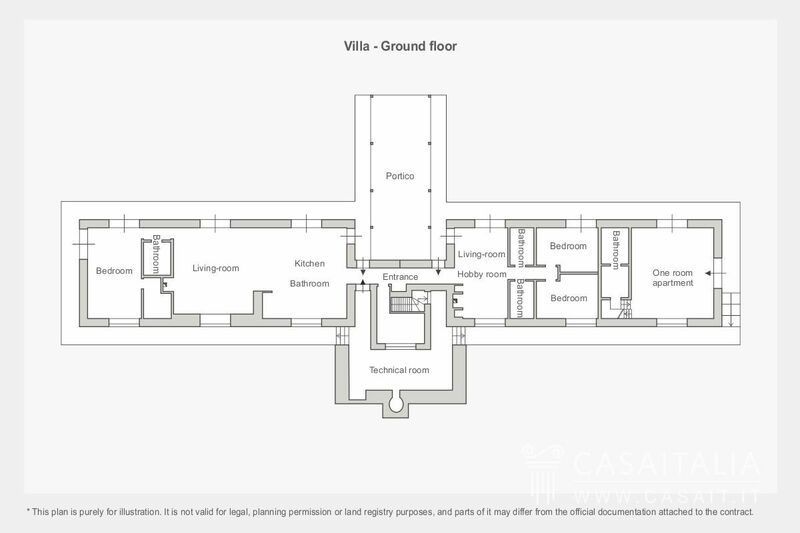 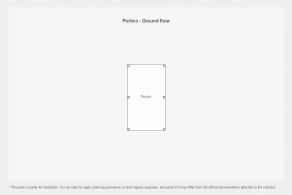 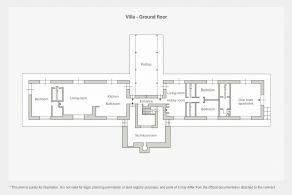 There are two utility areas, accessible from the back of the villa: one on the ground floor and the other in the basement. 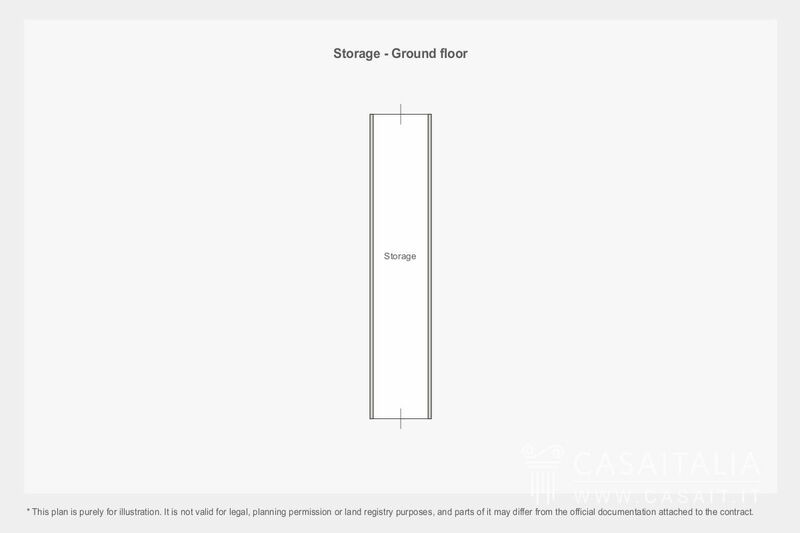 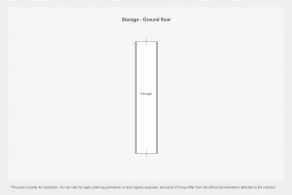 Finally, the property is completed by another building measuring around 30 sq.m, used for storage. 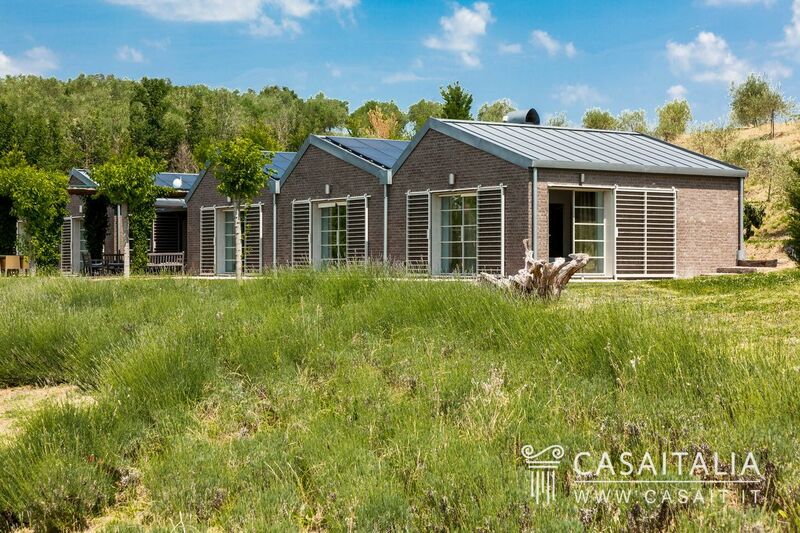 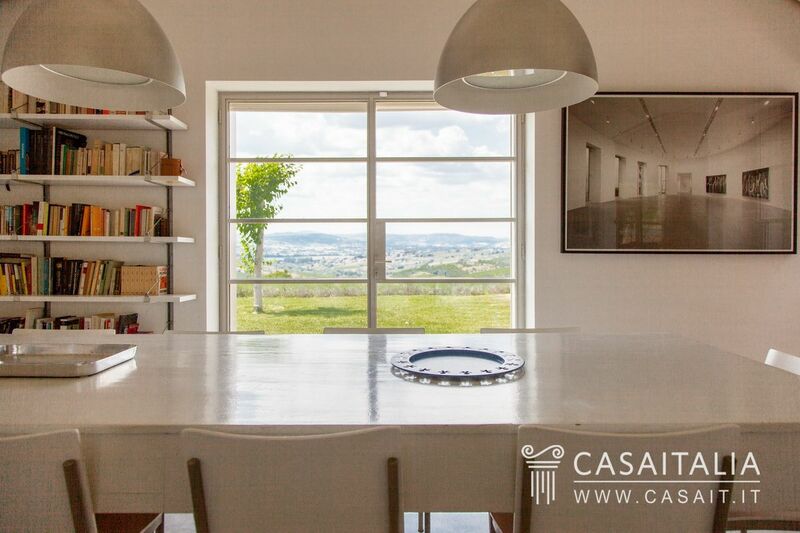 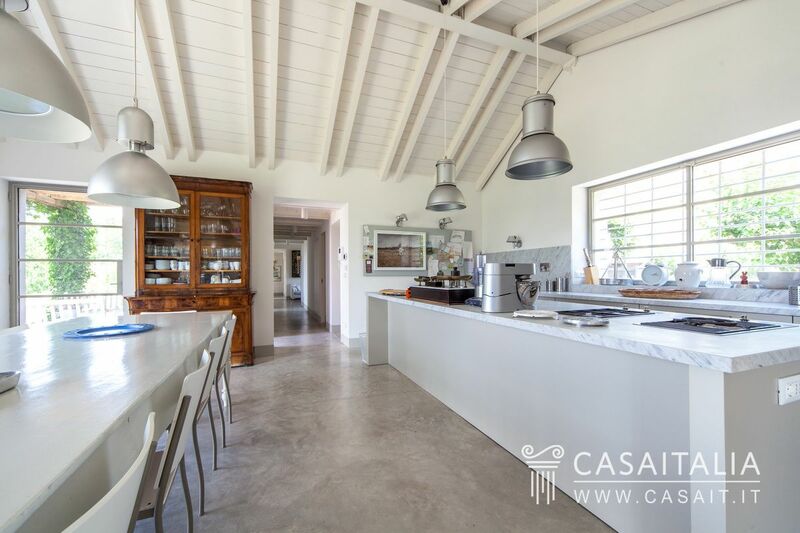 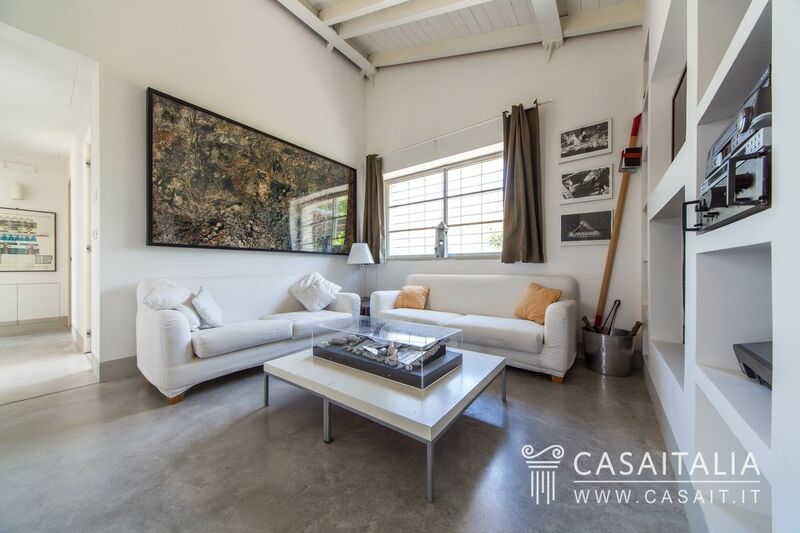 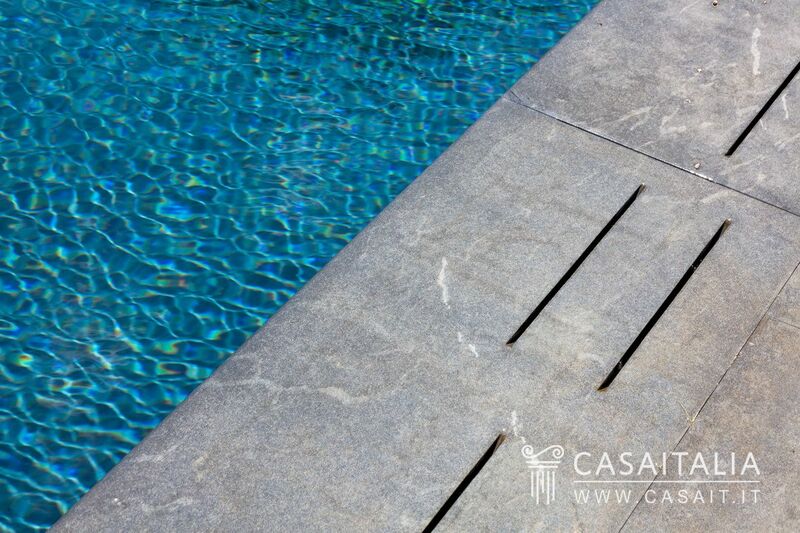 Contemporary Villa was recently constructed and is in perfect condition. 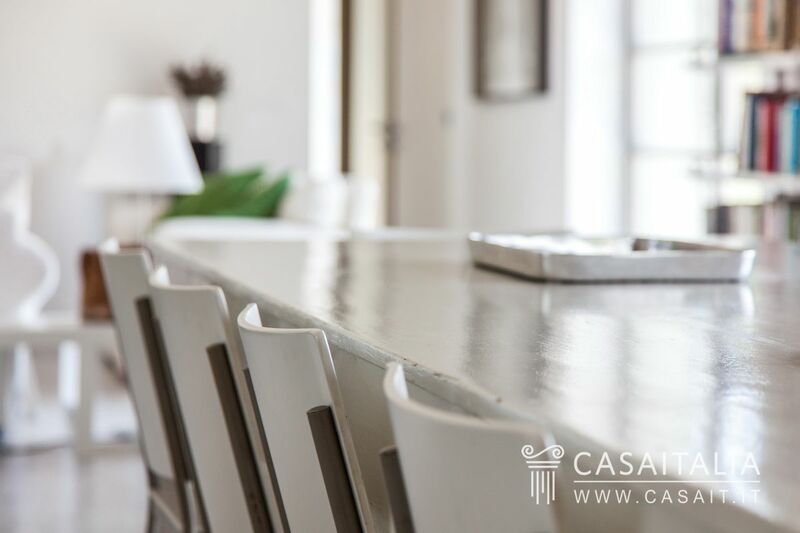 The designer, an architect, intended it for his own use and has used the best construction materials, high quality appliances and perfect finishings. 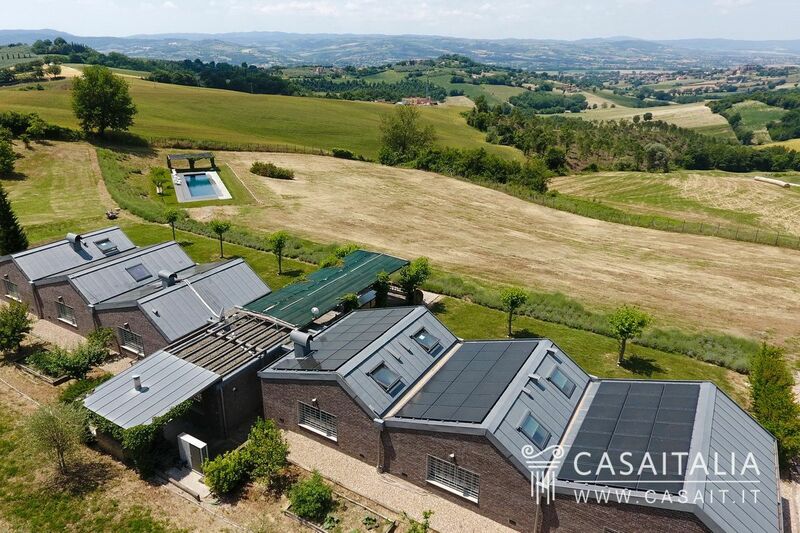 The cladding on the outside is exposed brick, the roof is covered with sheets of zinc/titanium and the fixtures are laser-cut sheet metal with double glazing. 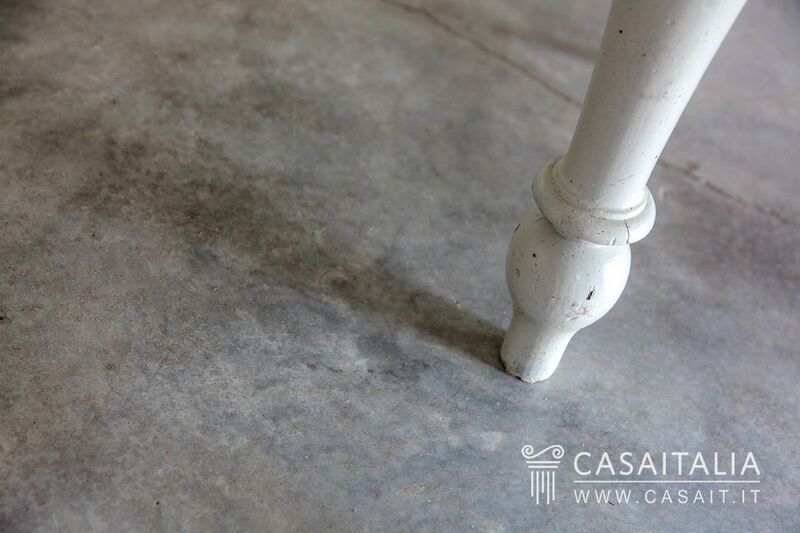 The floors are in grey cement finished with quartz. 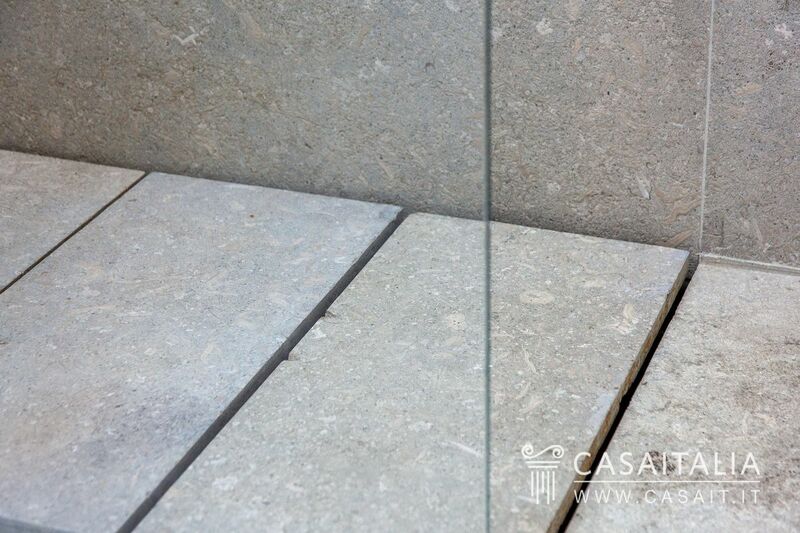 The internal finishings are in white and grey, to provide more freedom when choosing the colour of the furniture. The villa is surrounded by over 1.6 hectares of land with a small olive grove, with plants including lavender, cypress, pomegranate, fruit trees, climbing ivy, mulberry, fig, scented plants and Boston ivy. 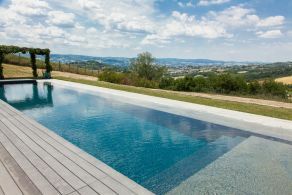 Below the house, not far away in a more secluded location, there is the infinity pool, with a pretty pergola beside it. 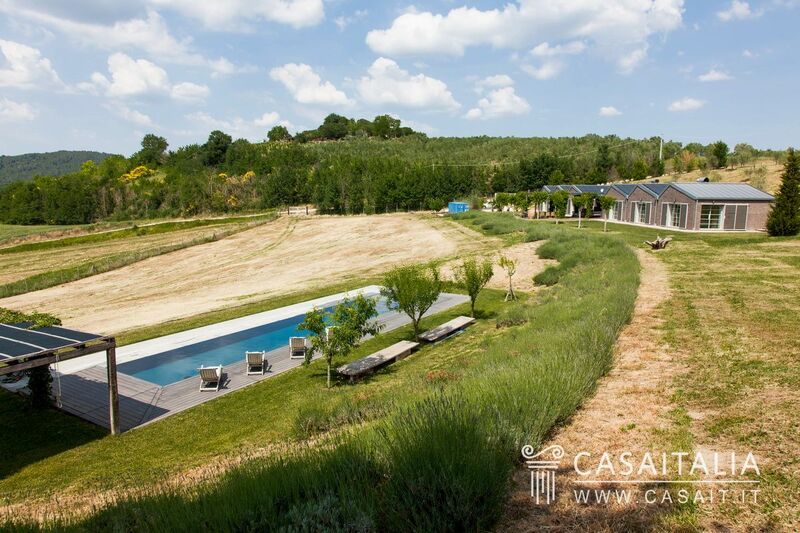 Behind the villa there is a barbecue area, with wood-burning oven. 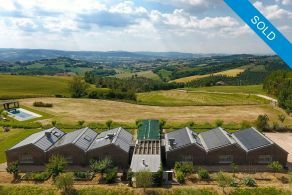 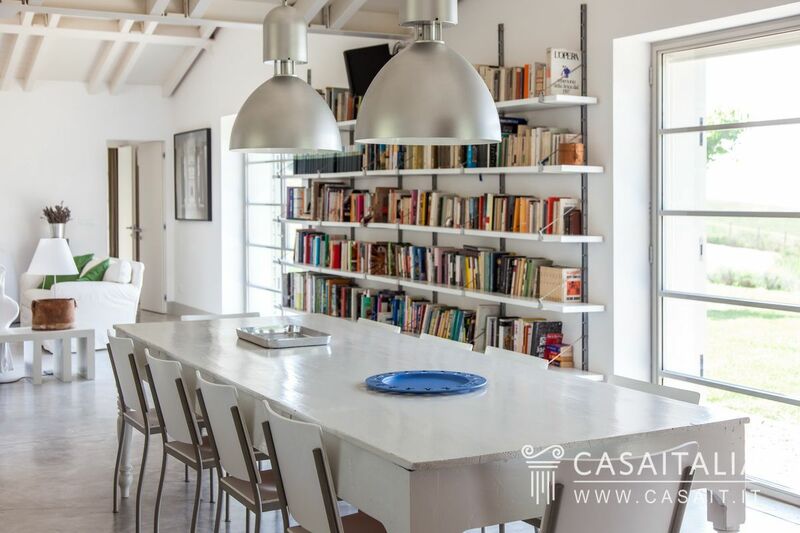 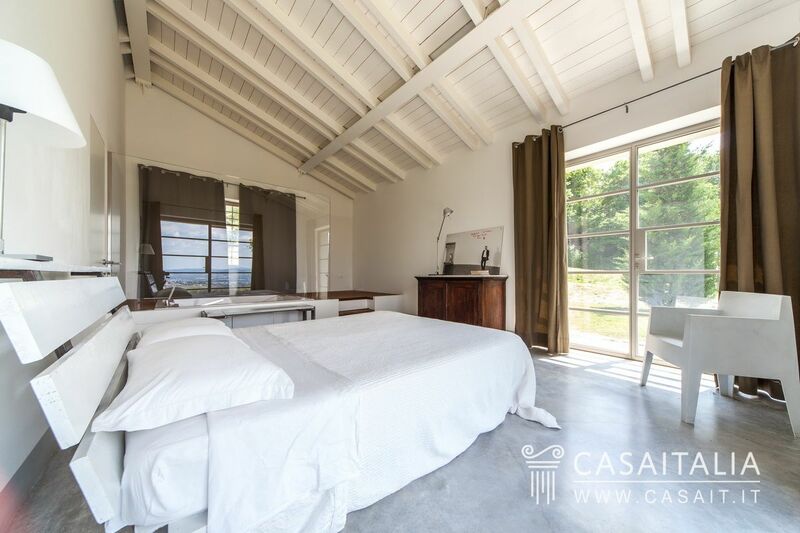 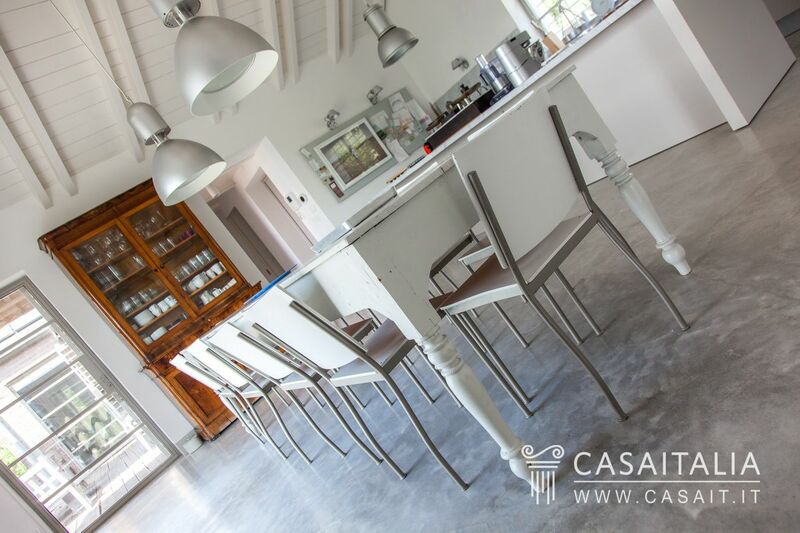 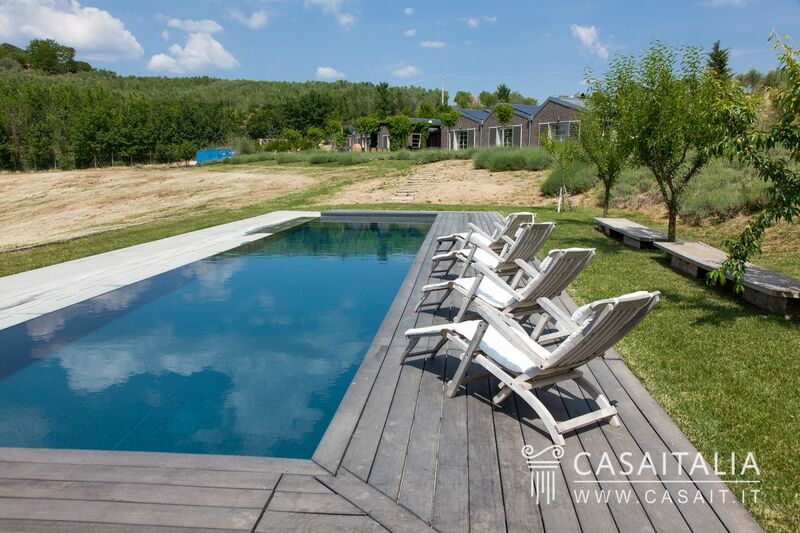 Contemporary Villa is a special property ideal for those who love the Umbrian countryside but are not looking for a traditional stone farmhouse. 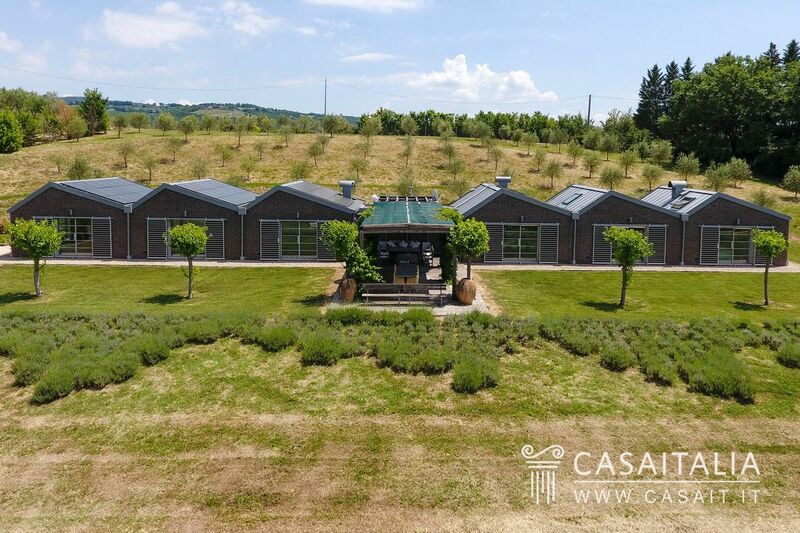 Thanks to its location, convenient and central in relation to Umbria and Tuscany’s main historic centres, it is perfect as a holiday home, with the opportunity to generate an income by renting it out on a weekly basis while not in use.